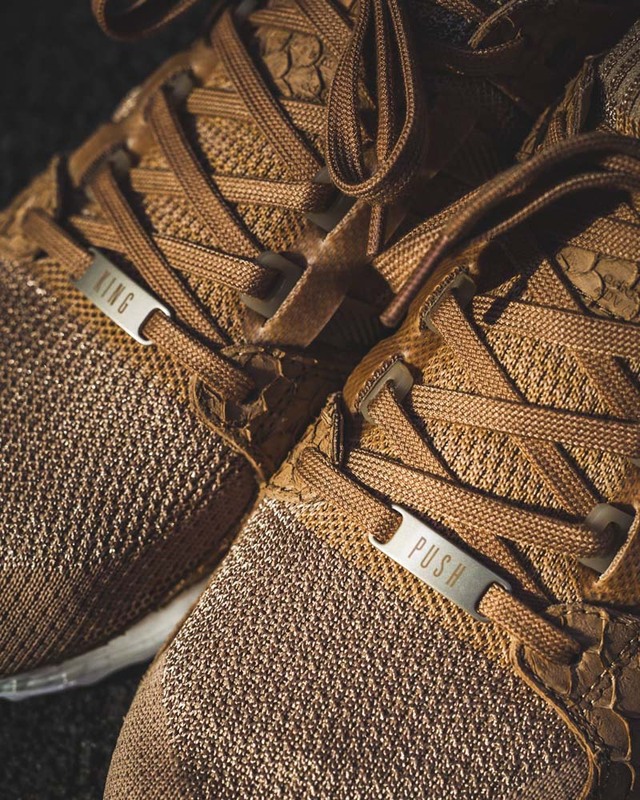 Pusha T’s latest sneaker features ‘Fish Scale’ print…but why? you’ve ever seen on a sneaker? Everyone’s heard of leopard-print… even snakeskin… but carp? Why on earth would Adidas put carp-skin on Pusha T’s latest signature sneaker? Because carp is a bottom-dweller. Nothing wrong with being a bottom-dweller…it just means you’re struggling and you gotta keep hustling to survive. 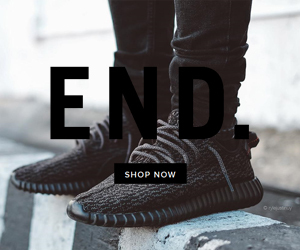 Just like Pusha T once used to – hanging out on corners selling “it” for $1,300-an-ounce. Those days are long gone. He now earns over $41,000 every month plus another $83,000-a-month from his Adidas contract. All legitimate money. All well deserved. 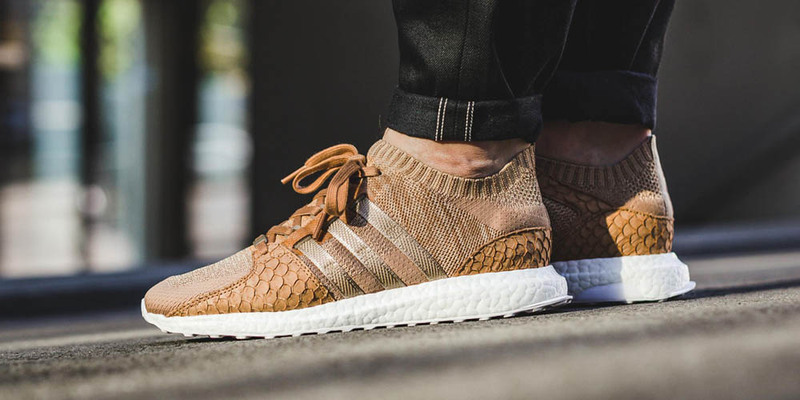 Adidas pays homage to the Bodega culture by throwing ‘Hard Beige’ on the latest EQT Primeknit. The color of brown paper bags used to hide your liquor in. Embossed carp-scales on the heel and side of the toe, symbolize the street hustler mentality. Primeknit uppers offer a snug fit while allowing your foot to breathe. A finishing touch: custom deubré with the words, “KING” on one, and “PUSH” on the other. The entire shoe sits on a responsive UltraBoost midsole. This shoe is special because it acts as a constant reminder, for anyone who wears it, that there’s beauty in the struggle. And no matter how hard you’re struggling right now, keep pushing. Because there’s no such thing as a life that’s better than yours. Are you a bottom-dweller on your way up? This shoe is released in highly limited stock. DON’T wait till tomorrow… Place your order right now, before it’s too late. You’ll be glad you did.